DNA Thief Heather Dewey-Hagborg Captured at Art Miami! Heather Dewey-Hagborg stole DNA and it’s on display at Art Miami! Download a complimentary pass HERE to find out if your DNA is at booth#C18! Raiding city streets Heather carefully loots cigarette butts, stray hairs and chewed gum that once belonged to strangers. With these delicately collected samples, she dissects, decodes and analyzes the genetic makeup for each of these strangers. 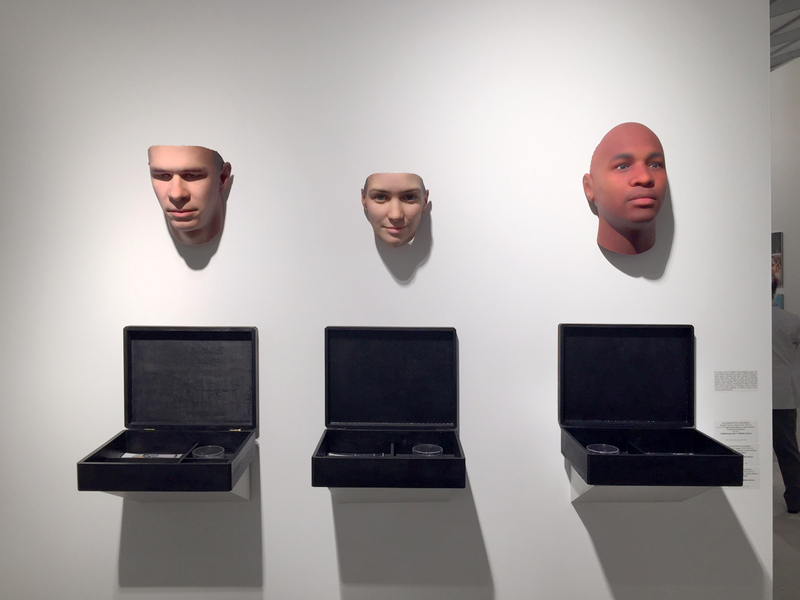 With her results, Heather is able to recreate 3D printed models of the stranger’s face. 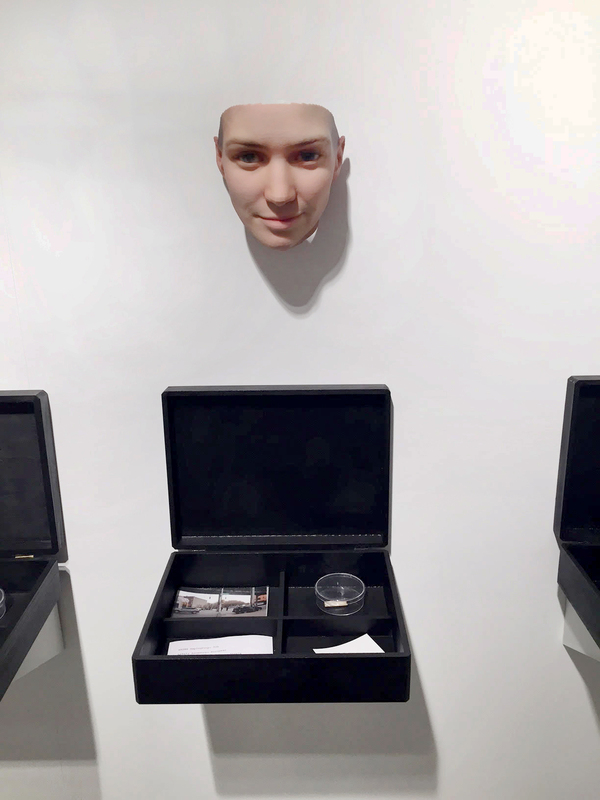 Complete with sample boxes, Heather Dewey-Hagborg’s 3D face print replicas are currently on display at Art Miami! To find out more about Heather’s process and scientific research, watch her most recent Ted Talk below. < Previous Ysabel LeMay sparks life into Art Miami! Next > Congratulations Holly Roberts!